Seven threats to schools in six districts across Western New York have been investigated by police since the school shooting in Broward County, Florida that left 17 people dead Wednesday. Those "copycat" threats had Governor Andrew Cuomo order NYS Police to increase patrols around schools in all corners of the state in "an abundance of caution". "Sometimes the gravity of how serious something is isn't really conceptualized with students at a young age," Trooper James O'Callaghan, with Troop A, said. When schools are made aware of suspicious posts on social media or comments made by students, they can't wait to find out whether it was made in jest. State Police say they investigate any threat to determine its credibility. The increased State Police patrols are a precaution and Trooper O'Callaghan says the state does not tolerate any threats of violence to its schools. "Just for the safety of those schools and not only that, but to make sure if there is a possible threat that's phoned in or were received, there's at least somebody in the area that can deal with that," he said. 7 Eyewitness News legal expert Florina Altshiler says these threats can have serious consequences for the students involved. 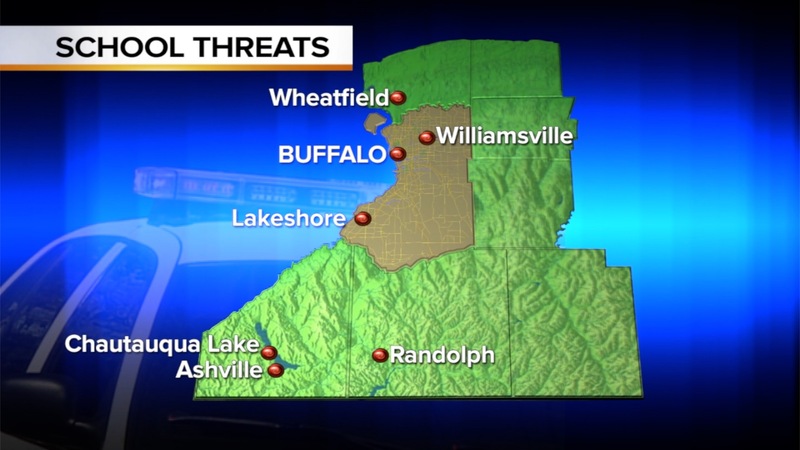 Making a terroristic threat with the intent to cause panic among a group of civilians is a felony in New York State. "Some students think they can remain anonymous or that they won't be found because it's not a face to face threat, but social media does not absolve students of criminal liability," Altshiler explained. Following the incident in Florida, Altshiler says it's not uncommon for these copycat threats to pop up, especially among teens and younger children. "Unfortunately, most of them have serious results because schools and populations have to take those threats seriously," she said. "We don't know if those threats are a joke or if the student is going to act on it."